January was slow. Benjamin had an ear infection that was impossible to get rid of, plus he started teething. I didn’t get to spend much time in the kitchen because I was tending to my plump little fussy one that I adore. Now that he is better, I’m back to my experiments of cooking and baking, and I’m loving it. Warren and I decided to start February off by inviting a few friends over to watch the Super Bowl. We whipped up a few recipes that I’ve been meaning to try, and I will most definitely be making these again! I made this Crab Guacamole from Skinnytaste.com, and it is out of this world! It’s such a fun new way to enjoy crabmeat. 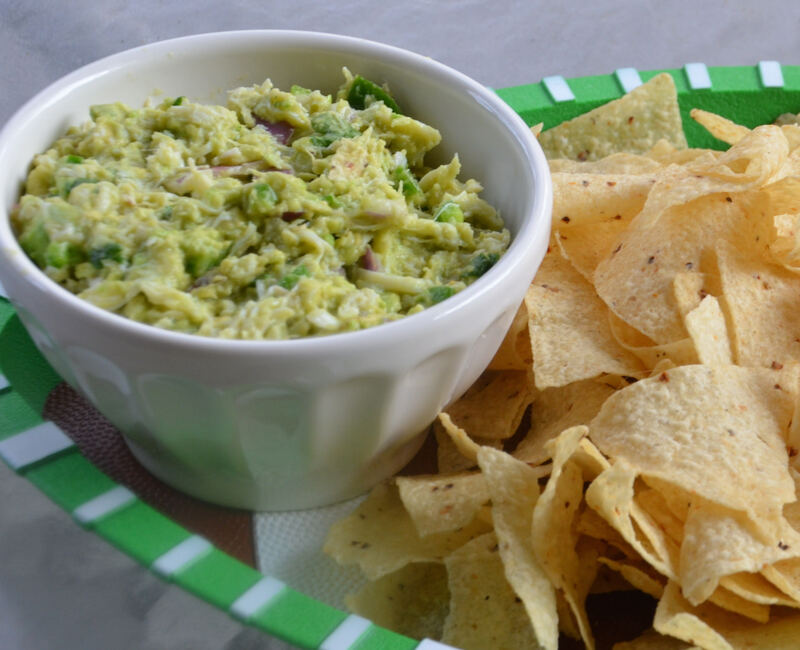 Plus, the addition of this lean protein to guacamole leaves you feeling full and satisfied! For Christmas, Warren’s colleague gave us tons of sausage from Kelley Foods of Alabama . I’ve been trying to find new ways to use our multiple packs of this delicious gift, and this time I tried a recipe from Puffpastry.com that ended up to be a huge hit. 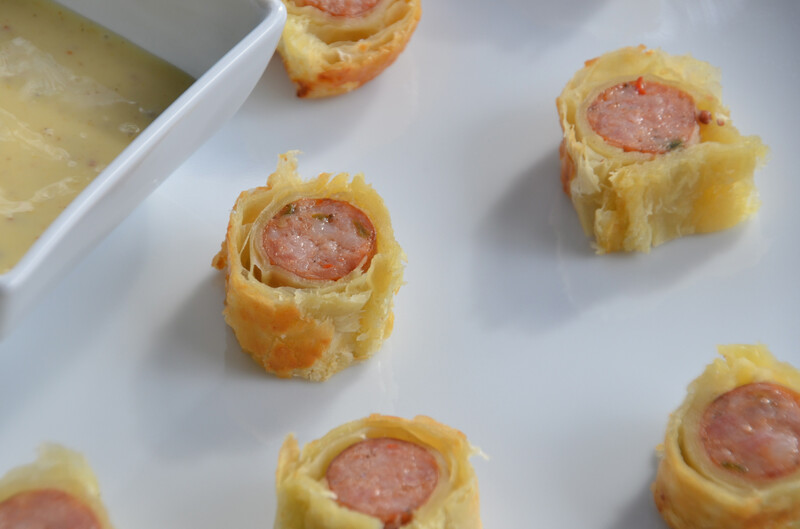 These Honey-mustard Sausage Wraps are a breeze to make. I used jalapeño sausage for this batch and these were devoured before the 1st quarter ended. 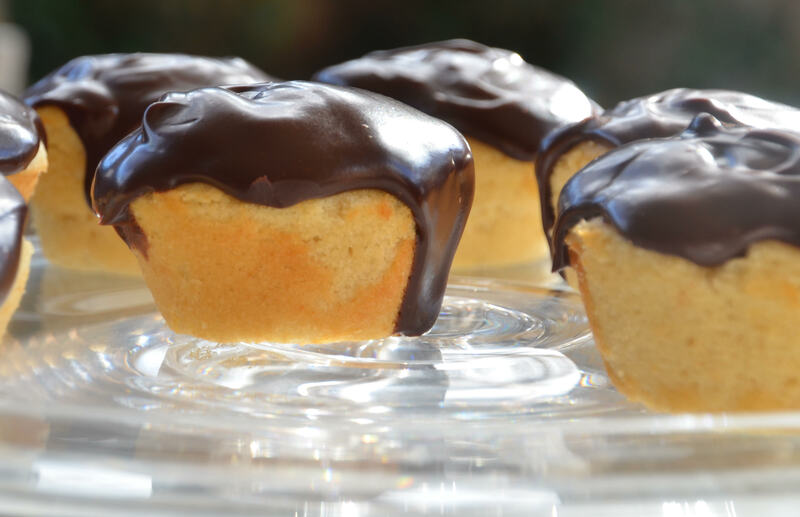 I made these Boston Cream Cupcakes the day before, as they are a bit labor intensive, but people loved these as well. The mini versions of these that I made were definitely enjoyed the most – the cream filling is a fun surprise. 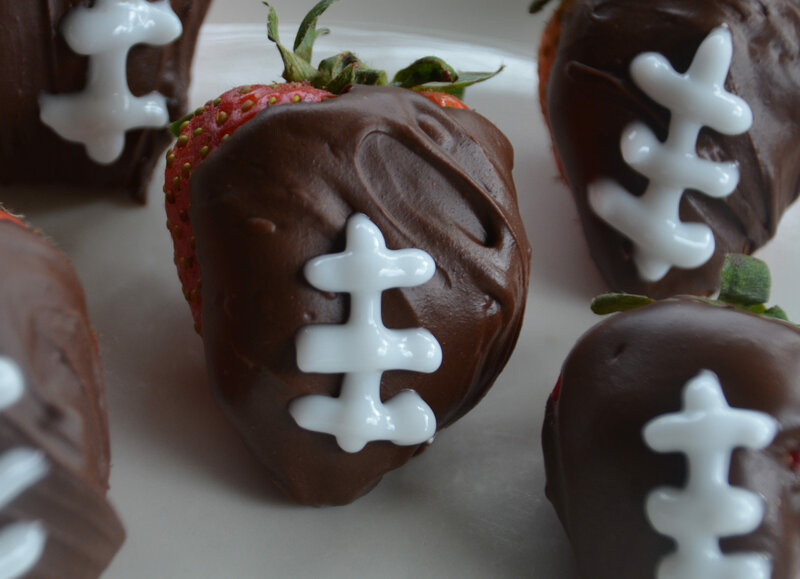 And last but not least I made these Strawberry Footballs, they were just a fun touch for the football game. I should also mention that Warren made some easy sliders that were also enjoyed. We are so lucky that we have the luxury of being able to use our grill in February while all our friends up north have been enduring yet another awful winter.